Bank Transfer Day founder Kristen Christian says she's grateful to the credit union industry while a Vermont Occupy activist says the credit is misplaced. 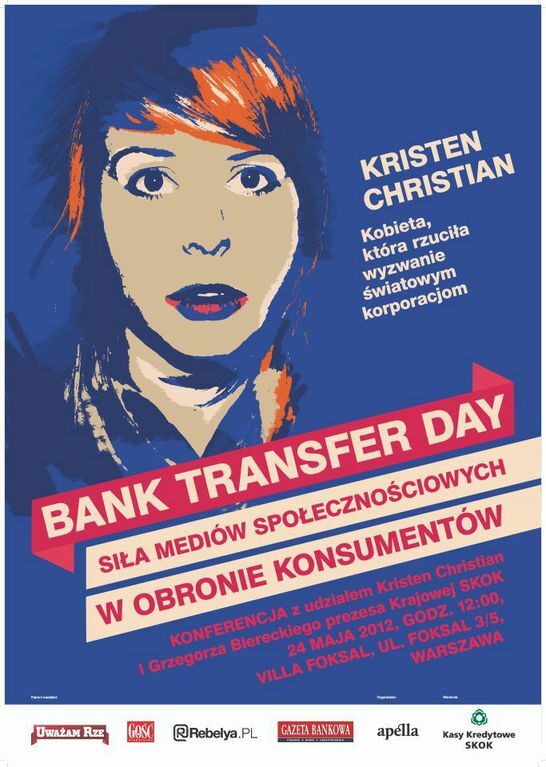 This poster promotes Kristen Christian's visit to credit unions in Poland. Eight months after Bank Transfer Day, Kristen Christian, its California founder, reiterated Thursday her gratitude to industry leaders and frontline staffers for providing her a life-changing appreciation of credit unions, something she said that has made her a better American.